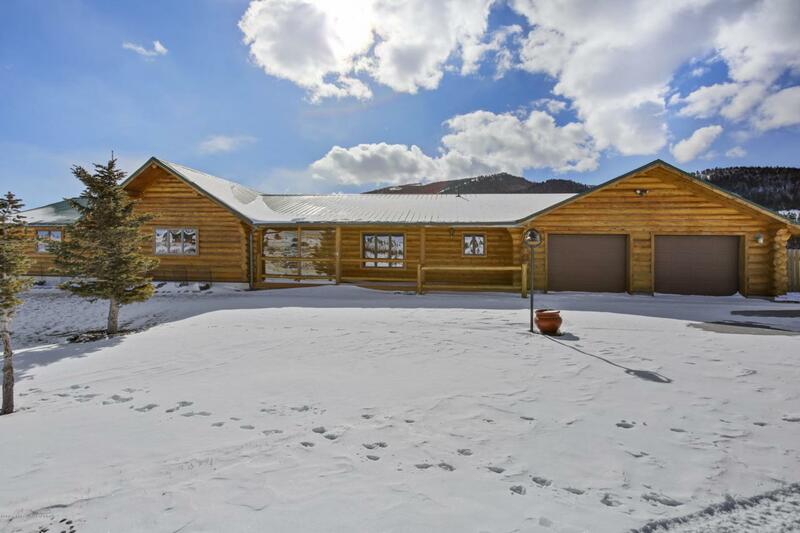 *Price Reduced* Custom hand-crafted log residence, situated steps away from the 2.5 million acre Shoshone National Forest, includes much of the tasteful western decor. Immaculate 4 BR & 3.5 BA w/high end finishes & custom trim throughout. The panorama of the Abasaroka & Wind River Ranges offer a stunning backdrop to this executive estate while enjoying the serenity of Spring Creek. Just minutes from Dubois & only 85 miles from the resort town of Jackson Hole offering world class skiing & fine dining. Adjoining acreage also available to create a luxury equestrian property. Some furnishings and older Chevy Blazer available for additional purchase. The property has recently been cleared to ''firewise'' standards to reduce the fuel exposure which helps to lessen fire insurance premiums.